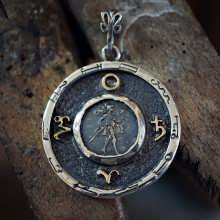 This unique Mars Saturn Talisman is a special limited edition of a very powerful celestial event, which occurs around once in every 30 years. The event is the conjunction of Mars and Saturn In Capricorn. The reason this conjunction In Capricorn is so special is that this sign renders Saturn and Mars highly ‘dignified’, as Saturn rules Capricorn and Mars is Exalted there. 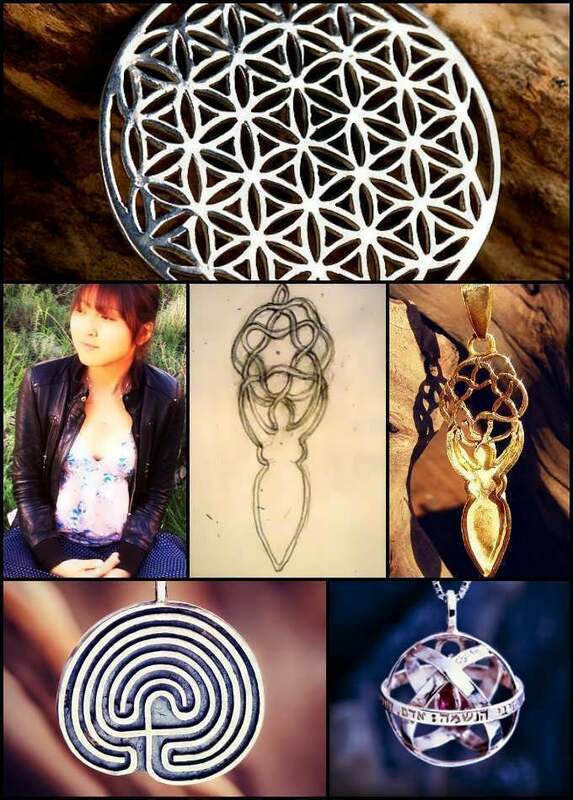 Therefore it is the only sign which enhances both of them together and maximizes the powerful positive potential of their combined forces. 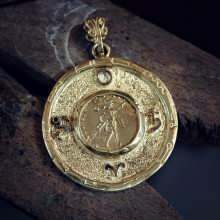 Contains pure gold that was consecrated during the unique and narrow astrological time frame - April 3rd 2018 between 05:55-06:50 GMT+3 during the rare conjunction of Mars and Saturn in Capricorn while the Sun exalted in Aries!! Exalted Mars has focused energy applied concretely, It is the active power of building, shaping and making things in the world. Mars in Capricorn has the potential to climb the highest peaks and achieves his heart's desire. He persistently stays on track, always moving ahead until his goals are met. With Saturn in Capricorn, Mars is ‘received' by the lord of the sign, which further enhances its ability to focus his energy and take clear and decisive action with stamina and determination. By itself, Saturn in Capricorn is a powerful grounding force, giving one the needed virtues of patience and perseverance, coupled with the active power of Mars he is unbeatable in his willpower, even the strongest of steel will yield to his will. 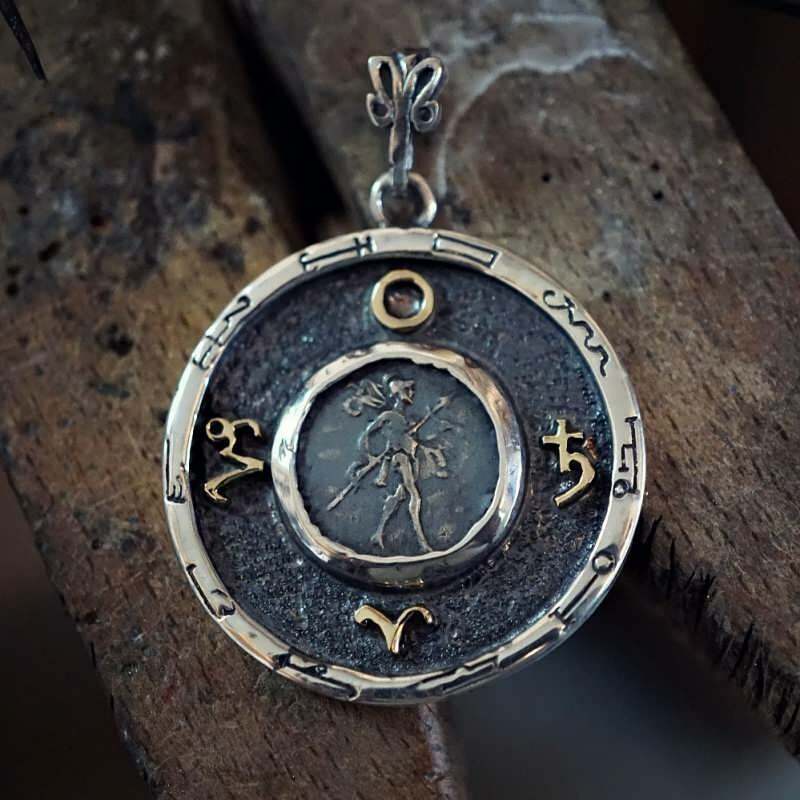 Additionally, this Talisman was made when the Sun was also in its exaltation in Aries (which is a Mars rules sign) and rising in the east, while The conjunction of Mars and Saturn was culminating on the Midheaven. That is why the pure gold was consecrated at this specific time. 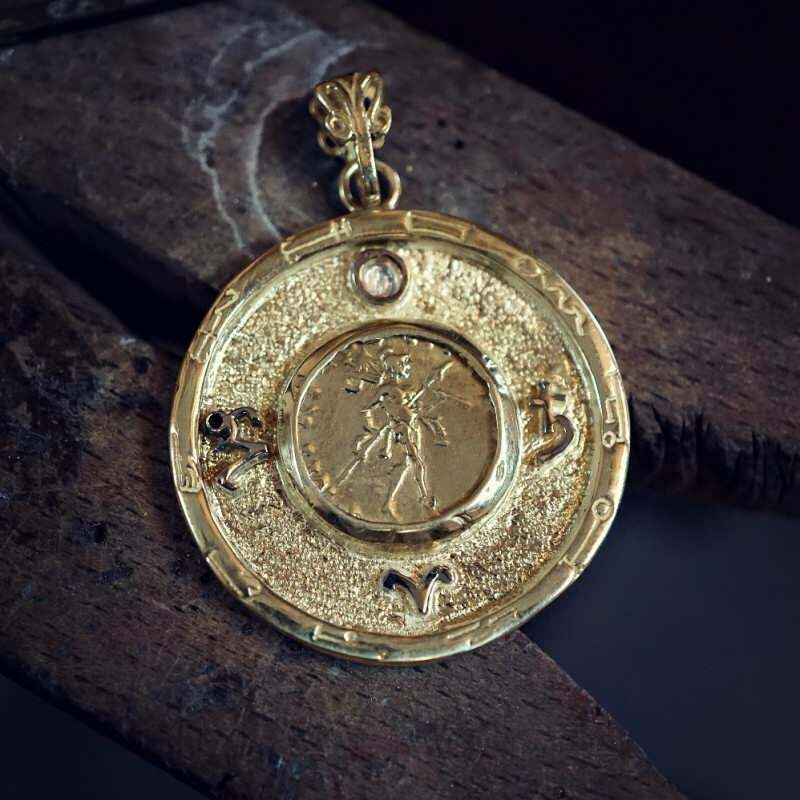 This Talisman is a storehouse of active power and grounded determination.